The self-serve washer-dryers are easy to operate and can handle up to 30 pounds, including curtains or bulky bedding items. Laundry detergent and fabric softener will be automatically provided for superb cleaning results. Customers can enjoy professional cleaning service at the most affordable cost. 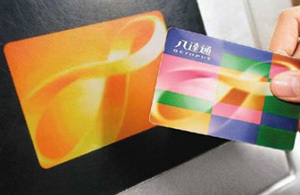 Sunshine 24 is the first laundry chain in Hong Kong that enables payment by Octopus Card. Customers can switch on the machine after making payment. 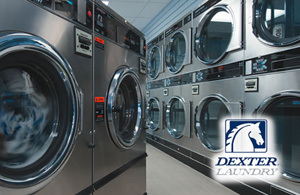 While you wait for your laundry, you can sit back, relax and enjoy the store’s battery charging and Wi-Fi service. The maximum capacity is 20 pounds. The cleaning results will be affected if the clothes are over the yellow line indicated on the door of washing machine or dryer. Please check the pockets before putting your clothes into the washing machine or dryer. 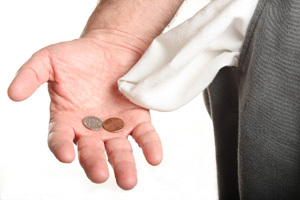 Be sure to take the coins, lighters and keys out of your pockets to avoid damage to your clothes. 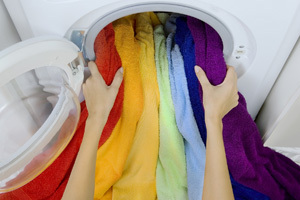 Separate the dark and light clothes into two loads and wash separately. After washing, you can use one dryer for all the clothes.